This photo is not much of an bike pic. even if the bike is present. Still there is a history to tell. T-1167 is a Harley from approx 1919-20. 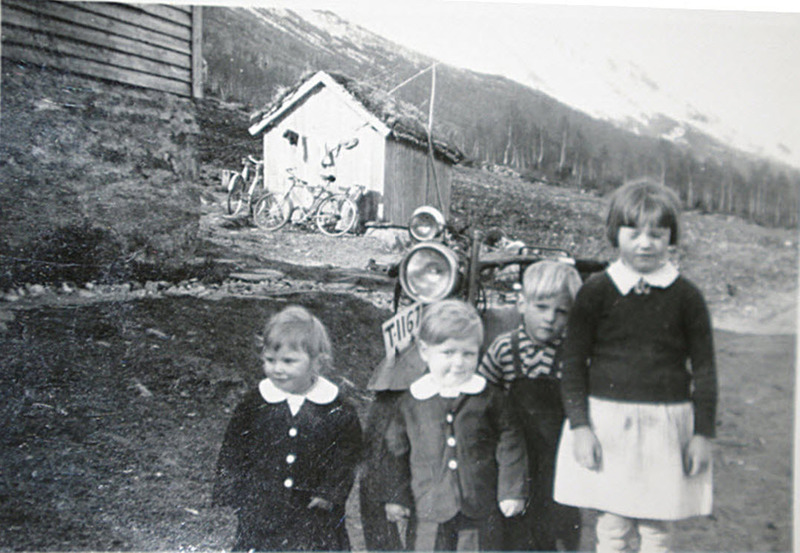 This bike was in duty as transport for post in a small community near Ørsta in the Western part of Norway. Both headlamps on the bike are home made additions, kids seems to be proud of posing with the bike. Looking at the buildings in the background of the picture tell what an average home would be like in the rural parts of Norway just 70 years ago, no fanciness, hardly paint, times sure have changed. Snow is present in the mountains when picture was taken wich means this is either spring or fall.